The Hear the World Foundation has signed up to be a prevention partner of Switzerland’s leading concert promoter abc Production. Under this partnership, the foundation is to provide fans with free noise protection ear-plugs at all abc Production concerts. 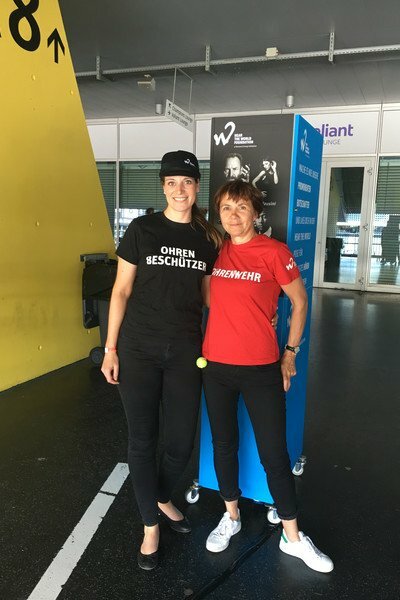 The Hear the World Foundation has been a prevention partner of Swiss concert promoters since 2015. In its capacity as a partner of abc Production, the foundation provides fans with free hearing protection at all abc Production concerts to prevent hearing loss. According to the latest figures of the WHO, some 1.1 billion young people across the world are putting themselves at risk of hearing loss due to unsafe listening practices. 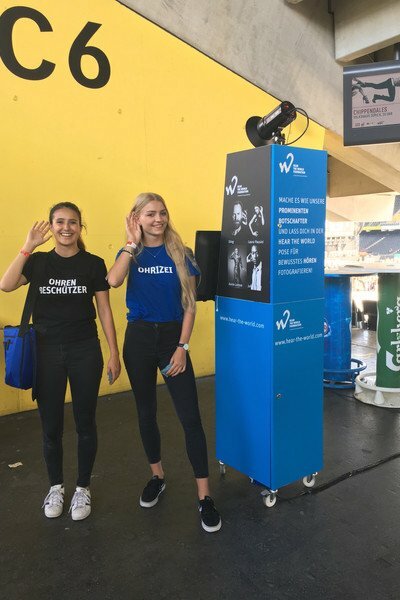 As a prevention partner of Switzerland’s leading concert promoter abc Production, the Hear the World Foundation wants to help put a stop to this and encourage concertgoers to protect their hearing. The foundation promotes its extensive hearing protection campaign at all abc Production events, reaching some 500,000 music fans every year. Promoters in T-shirts saying “Ohrizei” (ear police), “Ohrenschützer” (ear protector), and “Ohrenwehr” (ear brigade) hand out hearing protection to concertgoers with a twinkle in their eye. As well as free hearing protection, lyrics from songs by famous Hear the World ambassadors form the main element of the campaign encouraging concertgoers to protect their hearing. 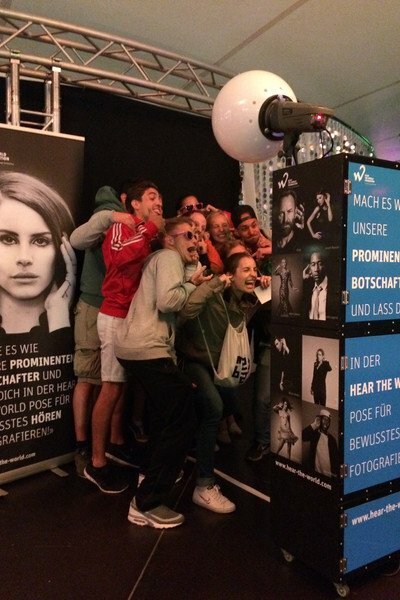 The foundation also brings a photo booth to some concerts and invites concertgoers to get their photo taken in the Hear the World pose, making them ambassadors for conscious hearing too. 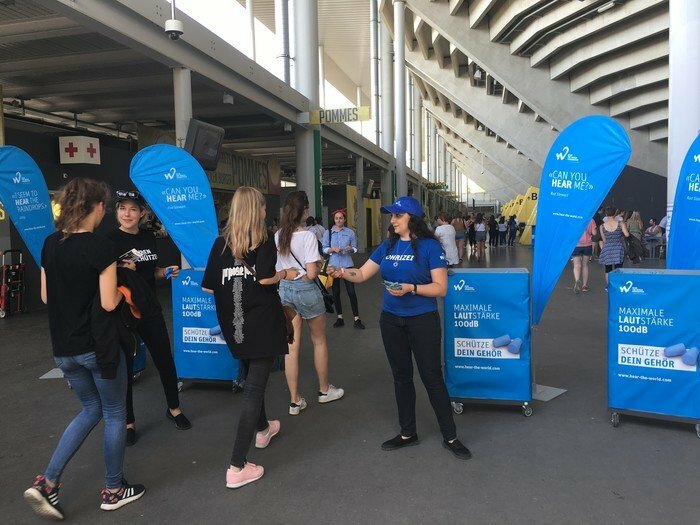 The photo booth is always attended by Sonova volunteers, who provide the fans with information about the dangers posed by listening to excessively loud music and about the work of the foundation. In May 2017, Phonak Canada employee Monika Nazair served as a volunteer for a Hear the World project in Northern Canada. The goal of her assignment: help installing the new wireless microphone solutions donated by Hear the World. Thanks to that school children can better follow classes.